As an evangelist of blockchain technology & its transformative power on society, economies & political structures, Kyle has focused his passion on building a dynamic team at BCW that adds value to clients & partners by leveraging their unique expertise in a professional & ethical manner. 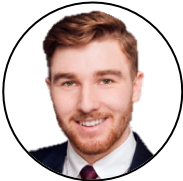 Kyle has utilised his array of global experience working for multinational corporations like Samsung & Infosys in the energy & corporate technology space, coupled with his educational background which includes an undergraduate degree in Political Science & Psychology from UCLA as well as 3 Master's Degrees in different geographies (highlighted by a MBA from CEIBS in Shanghai), to apply multiple disciplines to the burgeoning blockchain industry. Alexander Höptner (born 1970) took up the post of a Member of the Management Board at Boerse Stuttgart GmbH on 1 January 2017. His area of responsibility is the Sales and Information Technology resort. Alexander Höptner was appointed Spokesman of the Management Board of Boerse Stuttgart GmbH and of EUWAX AG with effect from January 1st, 2018. 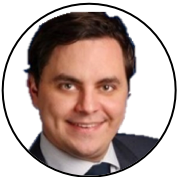 Alexander Höptner spent the period from 2001-2015 with Deutsche Börse AG, where he sat on the executive committees for the Cash Market and Information Technology divisions. Ahmad-Reza Sadeghi is a full Professor of Computer Science at the Technische Universität Darmstadt, in Germany, where he heads the System Security Lab. Since January 2012 he is also the Director of Intel Collaborative Research Institute for Secure Computing (ICRI-SC) at TU Darmstadt. He is a member of the profile area CYSEC of TU Darmstadt. He received his PhD in Computer Science with the focus on privacy protecting cryptographic protocols and systems from the University of Saarland in Saarbrücken, Germany. Prior to academia, he worked in Research and Development of Telecommunications enterprises, amongst others Ericson Telecommunications. Prof. Sadeghi has been awarded with the renowned German prize “Karl Heinz Beckurts” for his research on Trusted and Trustworthy Computing technology and its transfer to industrial practice. 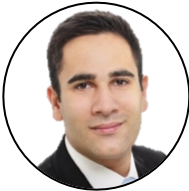 Passionate about innovative technologies and armed with master’s degree in marketing & media communications, Mihail started his first career experiences in the area of cloud at Deutsche Börse Cloud Exchange AG. There he was responsible for the development, coordination and management of DBCE’s brand and marketing campaigns. 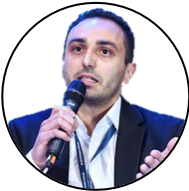 ​Today Mihail works as Marketing & Customer Engagement Manager at iNNOVO Cloud GmbH and is intensively driving forward company’s new business models in the fields of IoT, Edge & Fog Computing, Blockchain Technologies etc. 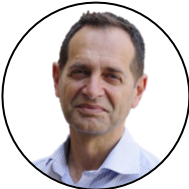 Holger has extensive know-how in project-, program- and people management and has managed Atos-owned software products and global IT services to improve monitoring, application performance and business service management. His responsibilities ranged from design and development, to customers’ deployment and operations by ITIL standards. He managed teams of experts in Germany, Netherlands, Poland, Romania and India. Niall has a background in Astrophysics and Computer Science. 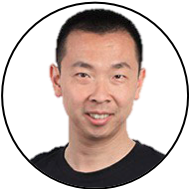 He is the lead author of the HYCON whitepaper and the R&D lead of the project. 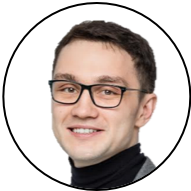 Kersten is the expert in ICO Management in APAC, being involved into the management and growth of blockchain startups and establishing a network to the Blockchain community in Asia. Amrit is the Head of Research at Zilliqa. He holds a PhD from Université Grenoble-Alpes, France and was hosted at Inria’s Grenoble center. Prior to his PhD, he obtained an Engineer’s diploma from Ecole Polytechnique, France, where he studied Computer Science and Mathematics. His research interests broadly span security, privacy and applied cryptography. 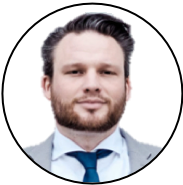 Prof. Dr. Philipp Sandner is head of the Frankfurt School Blockchain Center at the Frankfurt School of Finance & Management. 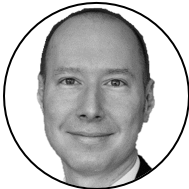 The expertise of Prof. Sandner in particular includes blockchain technology, crypto assets, initial coin offerings (ICOs), digital transformation and entrepreneurship. 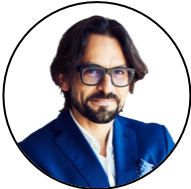 Prof. Sandner is a member of the FinTechRat of the Federal Ministry of Finance and also engaged in the Blockchain Observatory established by the European Union and, additionally, founding member of the German Blockchain Association e.V. and the Multichain Asset Managers Association. He was awarded with several scholarships and research prizes. Prof. Sandner has published in international peer-reviewed journals such as Research Policy, the Journal of Marketing Research and the Journal of Business Venturing. Dr Faust is a Professor at TU Darmstadt, where he is leading the research group on Applied Cryptography funded by the Emmy Noether Program of the German Science Foundation (DFG). 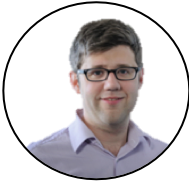 Before, he was an Assistant Professor at Ruhr-University Bochum and have been a Marie Curie IEF fellow at EPFL, Switzerland in the group of Serge Vaudenay, and a Postdoc at Aarhus University in the group of Ivan Damgaard. In 2010, he received my Ph.D. in the COSIC group at KU Leuven. My research was funded through a Microsoft Research Ph.D. scholarship. I obtained a Master in Business Informatics from the University of Mannheim. 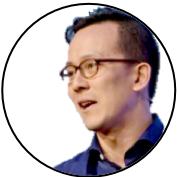 Toan Nguyen is Director of Business Development and Marketing / Communication across EMEA at e-shelter. In his role he is responsible for bringing the maximum value to e-shelter’s customers and partners that use e-shelter’s colocation and connectivity solutions for their hybrid and multi cloud deployments to enable their digital business platform. ​Furthermore, he is also in charge of e-shelter’s Marketing and Go-To-Market strategy in the cloud field, helping execute on the company’s multi-year sales plan and identifying areas that will drive future growth.